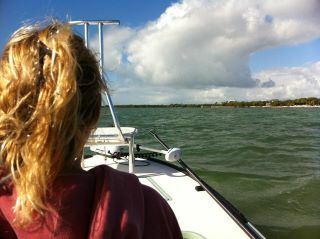 Dec. 28th Flats Fishing Report for The Lower Florida Keys. The weather and the fishing continue to be exceptional for this time of year. 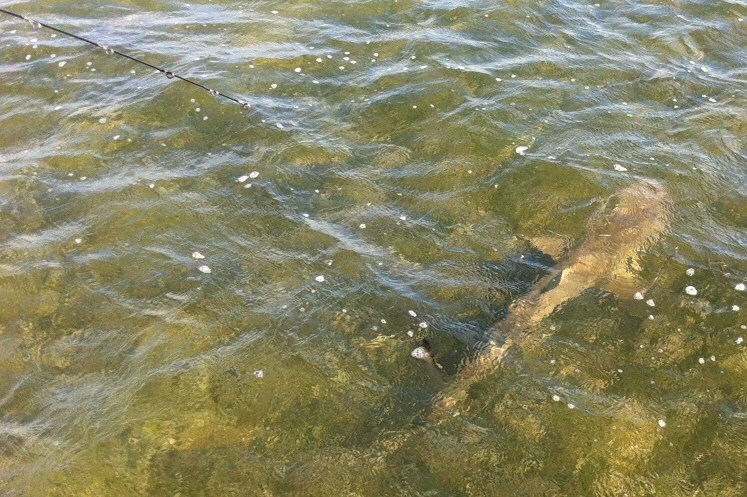 Warmer water temperatures, give us opportunities to hunt permit, tarpon and bonefish. How ever there are lots of other fish to target this time of year.. Trout, ladyfish, jacks, cudas and sharks are all fun too! Bo Sellers with a big barracuda.. This is the time of year , that the big barracudas move on the flats.. 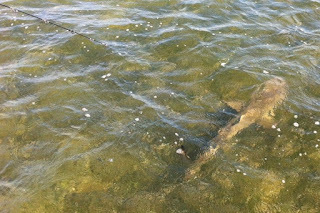 If you like pike or musky , you will love cudas.. Chuck the tube lure past the fish.. reel it back as fast as you can... if they start to follow, reel faster.. never slow down.. Barracudas can hit speeds of 30 mph..
My friend Dale Bishop sent me this pic and fishing report.. too good not to share..
"We tried out our new Dora the Explorer rod today. Hooked some Redfish, Trout and Ladyfish. A big Redfish got away. Dora needs to work on the drag system of her rods." 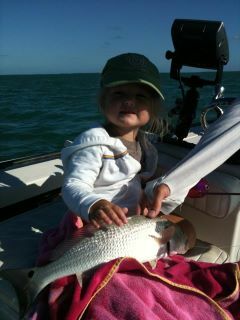 Jane puts the heat on a big blacktip! Come on down and join the fun!! !